The Alzheimer’s Association observes June as Alzheimer’s and Brain Awareness Month. The attorneys and staff of Christenson Johnson, LLC are continuing to build awareness with clients and the community in several ways. Several attorneys and staff from Christenson Johnson, along with others who have been affected by Alzheimer’s disease, participated in the local Alzheimer’s Association’s “Reason to Hope” event on June 7, 2018. Attorney Iris Christenson serves on the board for the South Central Wisconsin Chapter of the Alzheimer’s Association. 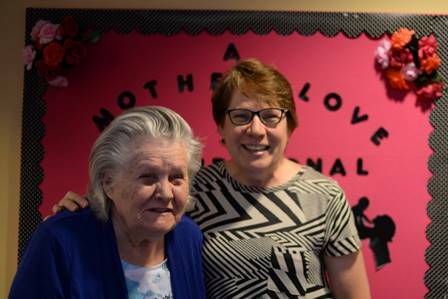 Iris was enthusiastic about this event because it was an opportunity to highlight the services of the association and because her mother suffers from Alzheimer’s. This year, the event raised about $11,200, all of which will help the chapter continue their work. 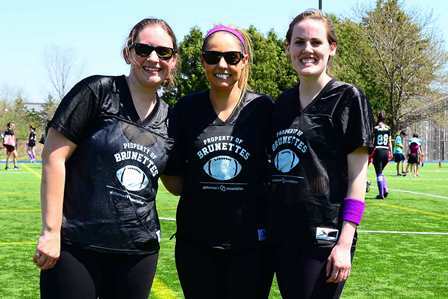 In May, three of our employees (Attorney Meghan Teigen; Danielle Sendelbach, Legal Manager; and Bianca McCormick, Legal Assistant) participated in the Alzheimer’s Association event, Blondes vs. Brunettes, a women’s flag football game where two teams compete to inspire fundraising, awareness, and action in the fight against Alzheimer’s disease. The game raised over $60,000 for the Alzheimer’s Association. On October 7, “Team Christenson Johnson Goes the Distance”, a team made up of legal professionals, family, friends, and clients led by team captain Iris Christenson, will participate in the annual Madison Alzheimer’s Association Walk to End Alzheimer’s. Watch for updates in the coming months on how you can get involved by walking with us, volunteering, or making a contribution. Christenson Johnson is designated a Dementia Friendly Business by the Aging and Disability Resource Center of Dane County. A dementia friendly business is a business whose staff has been trained to best serve its customers who have dementia and has evaluated its environment to help improve the experience for individuals who struggle with memory challenges. We have incorporated several changes to our office space to enhance our ability to serve our customers who have dementia. Throughout the year, the attorneys of Christenson Johnson provide comprehensive estate planning and elder law advice to clients who deal with their own or a family member’s dementia. Whether you have a family history of dementia, an early diagnosis, or advanced impairment, we can assist with estate planning, special needs trusts, and long-term care advice that support your self-determination and financial goals.